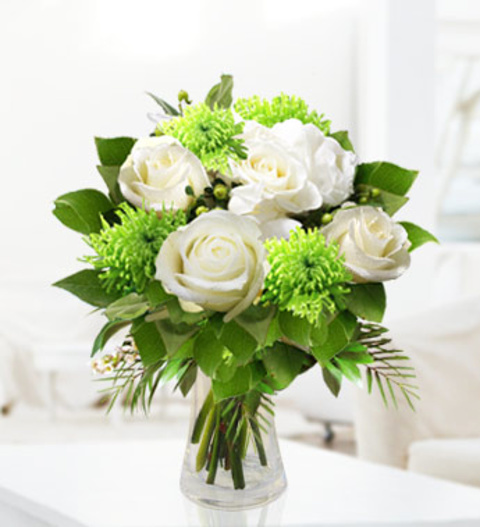 Evergreen is a pleasant arrangement of white avalanche roses with Shamrock blooms hugged with Roebelini palm. The arrangement is suitable for all occasions and is available for UK next day delivery. Each bouquet comes with a FREE box of fine Belgian Chocolates.